Linguistic styles particularly variations in pronunciation, carry a wide range of meaning - from speakers' socio-economic class to their mood or stance in the moment. This book examines the development of the study of sociolinguistic variation, from early demographic studies to a focus on the construction of social meaning in stylistic practice. 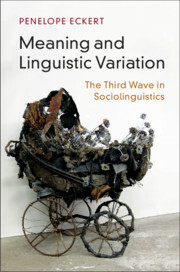 It traces the development of the 'Third Wave' approach to sociolinguistic variation, uncovering the stylistic practices that underlie broad societal patterns of change. Eckert charts the development of her thinking and of the emergence of a theoretical community around the 'Third Wave' approach to social meaning. 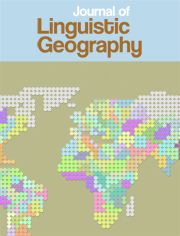 Featuring brand new material alongside earlier seminal work, it provides a coherent account of the social meaning of linguistic variation. 22. What kinds of signs are these? 23. Where do ethnolects stop?